This is the fourth post in the Essential Angular series, which aims to be a short, but at the same time, fairly complete overview of the key aspects of Angular. In this post Victor Savkin will cover change detection and data flow. You can debug an Angular application with Chrome and VS Code. Of course, you can also configure Chrome to attach directly. In this post, Fabian Gosebrink wants to show you how to debug an Angular application with Chrome and VS Code. 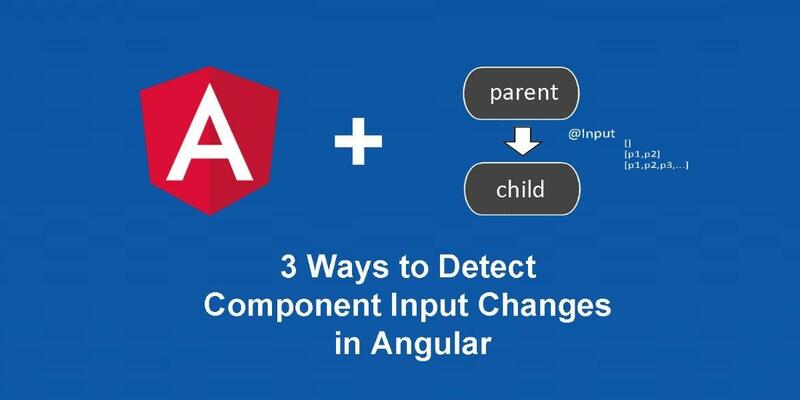 How to listen to Angular component input changes and act on it. Let's start with a common use case. You have some data you get from external source (e.g. by calling API). You want to display it on screen. Have you ever used a Chrome extension in your Google Chrome web browser? Have you ever wanted to make your own Chrome extension, or maybe more importantly a Chrome extension that synchronizes data with your remote datasource? In this post Torgeir Helgevold will show us how to integrate Firebase with an Angular application. He shows you how to use Firebase as a realtime database with data synchronization between connected clients. For the purposes of this article we will create a simple “Friends” application. The other day, Ben Basel showed up how to provision new Cloudant / CouchDB databases as part of the Auth0 authentication and authorization process. But, after that post, Ben felt uneasy about trying to keep these two systems - Auth0 and Cloudant - in sync; and he wondered if there was a way we could conditionally change the behavior of the Auth0 Rules engine based on the current login transaction (such as forcing new Cloudant API Keys to be generated). Luckily, we can pass additional parameters through as part of the authentication request. And, these parameters are then made available to the logic of our Auth0 Rules engine on WebTask.io.